A zip line participant prepares take flight and zoom through the air over the US National Whitewater Center (USNWC) on the USNWC's zip-lines, part of the facilities high-adventure offerings. The popular outdoor adventure activity lets outdoor enthusiasts be secured into a harness then propelled by gravity along an inclined steel cable. Charlotte, North Carolina's US National Whitewater Center offers two zip lines, which vary in height and distance traveled, as well as one of the largest outdoor climbing facilities in the world. 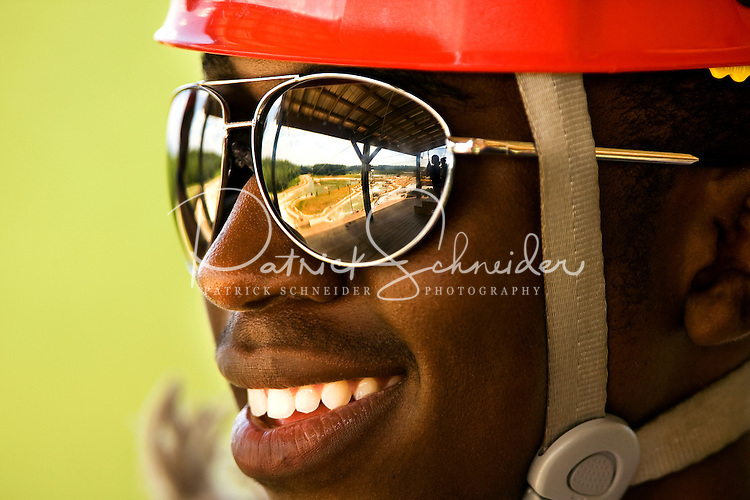 The USNWC is a non-profit outdoor recreation facility open to the public for whitewater rafting, kayaking, canoeing, rappelling, zip lining, mountain biking, hiking, climbing and more. The center opened to the public in 2006.